So, you need to buy the best paper shredder for you, but which one? Are all shredders the same? The simple answer is no. How often will I use the shredder? How many people will be using the paper shredder? How efficient does the shredder to be? How fast does the paper shredder need to shred? Buying a shredder seems like a simple task until you’re confronted with all the different features, specifications and sizes. This can be a bit overwhelming. So, how do you choose a shredder? Let us help. Personal Shredder, Office Shredder Or Heavy Duty Commercial Shredder? Heres the first thing to ask yourself. What kind of user are you? You’re a personal user if you’re looking for a machine to fit your occasional light shredding needs. You’re a small office/home office user if you have 1-3 users shredding more regularly. And finally, you’re considered a commercial user if many people in your workspace use the shredder and shred large volumes frequently. By identifying how many people will use the machine and how you and your office typically shred, you can find the right product to meet your needs and avoid future frustrations. The Best Paper Shredder For You? Stripcut, Crosscut Or Microcut? The second question you need to ask is, how much security do you need? You see, depending on the confidentiality of the information, shredder cut size matters. In some cases, there are regulations mandating specific cut sizes. A strip cut shredder will provide you basic security. It essential cuts an A4 sheet of paper into approximately 39 particles or strips. Crosscut shredders create approximately 400 particles per A4 sheet which makes paper extremely difficult to assemble and read. 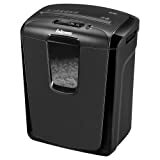 If you’re shredding highly confidential documents and need an even higher level of security then you should consider a P5 micro cut paper shredders. This gives you 3700 particles per A4 sheet. For government security, a P7 shredder will turn an A4 sheet of paper into dust with a resulting 15,000 particles per A4 sheet. Your need for security dictates the kind of shredder you should choose. With ranges from strip cut to high-security cuts, your choice of shredder will give you the confidence that sensitive documents are properly and securely destroyed. The third thing to consider is how you determine how productive or efficient a shredder is, or how quickly do I need to get my shredding done? The three most critical factors that contribute to a shredders performance are sheet capacity, the amount of paper the shredder can shred at one time. Speed, calculated by feet per minute (FPM) or how quickly the motor can shred paper. Runtime, the amount of time the shredder can continuously run until a cool down period is needed. Combined together these factors determine a machines performance rating or the total number of sheets that can be shred in one cycle. If shredder A has an 8 sheet capacity, 3 minutes run time and shred 10 feet per minute (FPM) it has a performance rating of 240. In other words, it can shred 240 sheets until its recommended cool down period. Now, let’s compare that to shredder B which has an 8 sheet capacity, 5 minutes runtime and shred of 14 feet per minute (FPM). With a performance rating of 560. Shredder B would be a more productive and efficient shredder which becomes more important the more you shred. 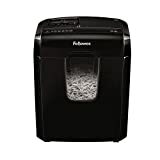 What Features Would You Like On Your Paper Shredder? The last question you want to ask yourself is, what features would you like on your shredder? Features are designed to make your shredding job easier faster and safer. You may be looking for the best paper shredder that offers features related to jam prevention, safety, quiet operation and energy efficiency. It’s also important to know that within feature categories there is also a range of performances from basic solutions to more advanced. Once you determine your feature needs you also need to choose between auto feed or traditional shredding. Autofeed technology allows you to shred a stockpile of documents automatically. You can see the benefits of an auto feed shredder by taking a look at this infographic from the guys who bring us Rexel shredders. Traditional shredding allows you to shred as you go. All in all the kind of shredder you need really depends on a number of factors. It’s important to identify first what kind of user you are, personal, small office/home office, or commercial. Now You’re A Paper Shredder Expert! It’s also important to determine what kind of security you’re looking for and don’t forget about efficiency and productivity. There’s a simple formula to figure it out. Sheet capacity x Runtime x Speed = Performance rating. The higher the performance rating the more efficient your shredder will be. And finally, different shredders have different features that offer a range of ways to make the job easier. Including jam prevention, safety, quiet operation and energy efficiency. 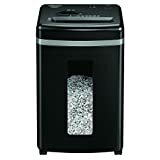 So, are you ready to buy the best paper shredder for you?